The Callaway Warbird golf ball has been designed to give you extreme carry distance through the Warbird core and HEX Aerodynamics dimple pattern combination. 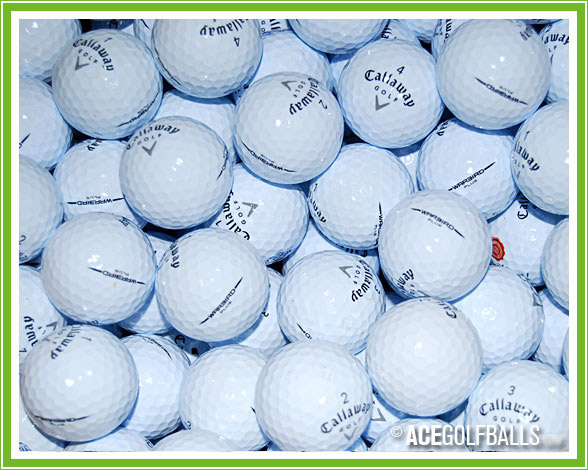 The 2-piece construction of the Callaway Warbird golf ball means that the core is larger, soft and features high-energy properties that create extreme ball speeds of the face of your golf clubs. To stabilise and control the distance that you get from the new Warbird golf ball Callaway have used their HEX Aerodynamic dimple pattern. HEX allows the ball to be more efficient through the air as well as stable and will help reduce the amount of hook and slice spin you impart on the golf ball to allow you to hit more fairways and greens.